Department of Materials Science and Engineering (MSE) senior Allen Chang has received an ASPIRE award to fund a research project in which he will fabricate plasmonic (metallic and highly conductive) alloyed nanoparticles designed to reduce the cost and improve the power conversion efficiencies of solar cells. Chang will carry out the project under the direction of MSE and Institute for Research in Electronics and Applied Physics assistant professor Marina Leite. ASPIRE, A Scholars Program for Industry-Oriented Research in Engineering, run by the Clark School's Maryland Technology Enterprise Institute (Mtech), offers students the opportunity to move beyond the classroom by working with faculty or staff on real-world engineering projects. In addition to Leite, Chang is mentored by MSE graduate students and fellow group members Chen Gong and Elizabeth Tennyson. Currently, silver nanoparticles are deposited on the top surfaces of solar cells to increase the amount of light scattered into them. Chang’s goal is to create silver-aluminum alloy nanoparticles that perform as well or better than their counterparts. Since aluminum costs less than silver, the adoption of a successful alloy nanoparticle in industry would reduce the overall cost of solar cells. While his usual research for the Leite Group advances fundamental materials science, Chang says the ASPIRE award adds motivation and scope to his work by focusing on application and implementation. Instead of fabricating his experimental nanoparticles on glass and silicon, he will fabricate them on functioning solar cells and analyze differences in efficiency, light scattering and optical losses (reflected light that might have been used) between those that use the alloy and those that use pure silver. Chang’s research experiences date back to his junior year of high school, when he joined Department of Chemical and Biomolecular Engineering associate professor Jeffery Klauda’s group as an intern and spent two summers engaged in molecular modeling. 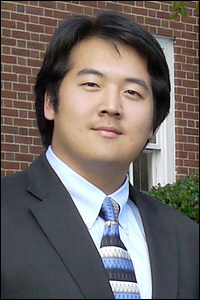 During his sophomore and junior years at Maryland, he worked at the National Institute of Standards of Technology (NIST). There, under the guidance of Dr. Amanda L. Forster, he collected tensile strength and infrared spectral data from polymer fibers used in field- and lab-aged body armor packs, which was used to characterize how the material degrades. He joined Leite’s group in January 2014, shortly after she became a member of the MSE faculty. “I wanted to experience building a research group from the ground up,” says Chang. “I didn't know what I wanted to do, but I did know that being in a new lab would be fun, and Dr. Leite's energy in class was indicative of an involved and supportive [group leader]. I had very little experience in renewable energy at the time, and everything I know now I learned along the way." Despite all of his experience and satisfaction with his research, Chang admits he became an MSE student “more or less by pure chance” after seeing a presentation by MSE professor and chair Robert M. Briber at an open house.